16741 EP ETHIOPIA (1966a) Kabaro drum*. 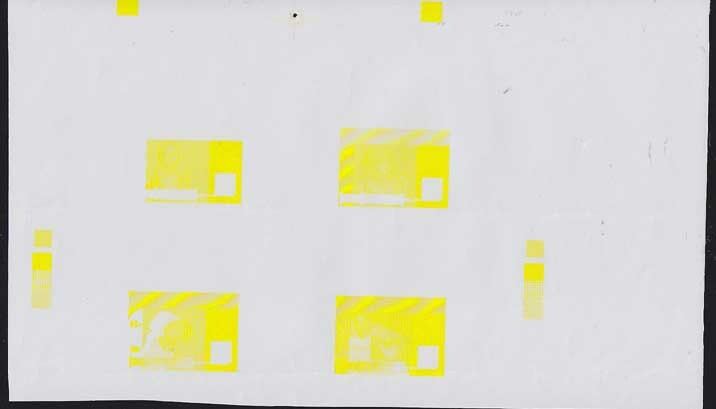 Proof on thin paper with simulated perforations. Scott No 458, Yvert No 464. 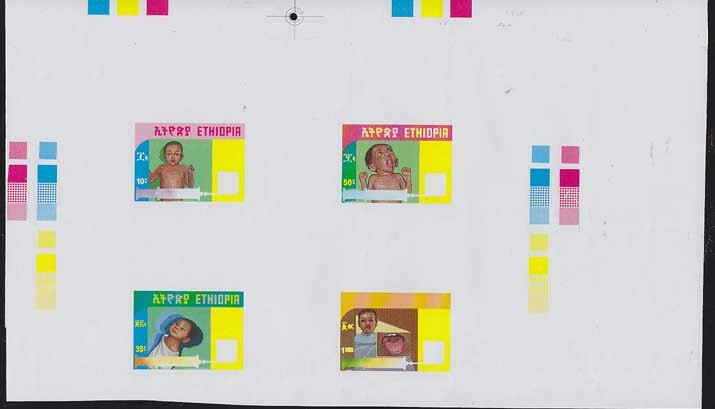 16742 EP ETHIOPIA (1966b) Bagana harp*. Proof on thin paper with simulated perforations. Scott No 459, Yvert No 465. 16743 EP ETHIOPIA (1966c) Messenko guitar*. Proof on thin paper with simulated perforations. Scott No 460, Yvert No 466. 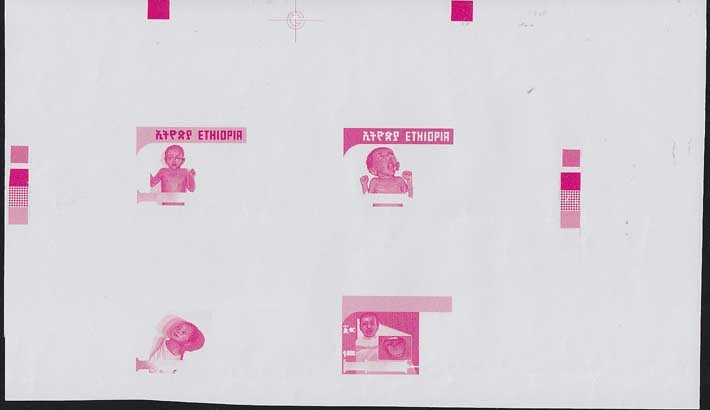 16744 EP ETHIOPIA (1966d) Krar lyre*. 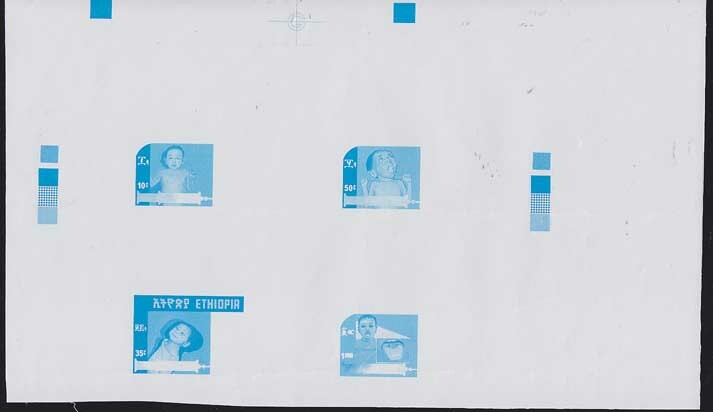 Proof on thin paper with simulated perforations. Scott No 461, Yvert No 467. 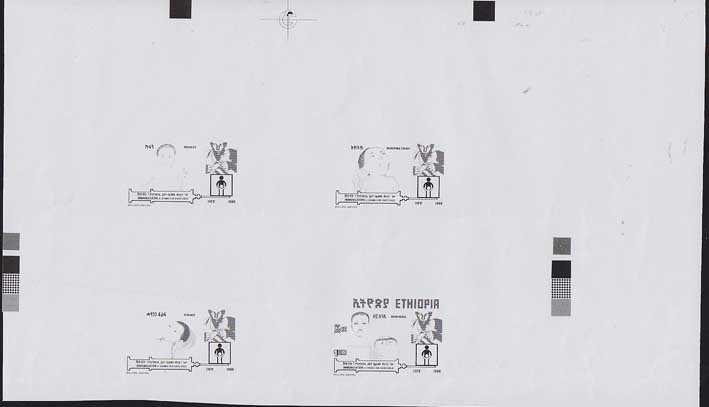 16745 EP ETHIOPIA (1966e) Wachent flutes*. 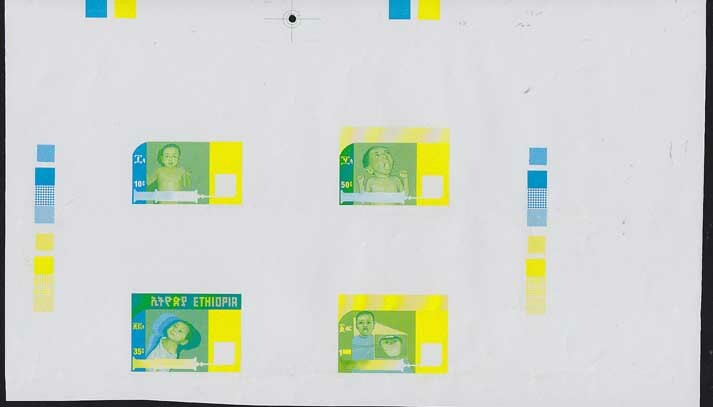 Proof on thin paper with simulated perforations. Scott No 462, Yvert No 468.